With Bernanke leaving at the beginning of the year and the high likelihood of Janet Yellen taking over the Fed, a good look at her general approach to the economy leaves us with a pretty good idea of where she may lead the Fed, interest rates and the secondary lending market regulations. Leaning more toward an economically dovish (rather than a hawkish) approach, it is likely we will see her favoring keeping interest rates low (favoring job creation over inflation control). 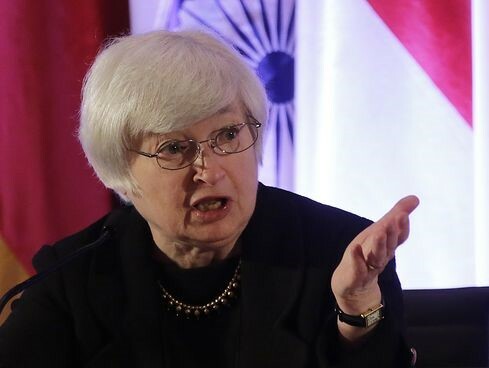 It is also likely one of her first orders of business will be to slowly reduce the Fed’s holdings in the mortgages and treasury markets. Because of this and some new policies already set in motion and ready to take effect at the beginning of the year (i.e. debt-to-income ratio changes, more regulations on Arm loans, etc.) we will likely see it a little harder to qualify for the same amount that one may be able to get today. Even though the Fed has already said they intend to help move interest rates back toward a more historically normal number, Yellen’s policy approach, along with some economic uncertainty demonstrated (or caused?) by the current congressional and governmental stall, will probably result in continued low rates for the next couple quarters. Summary In Short: Interest rates probably will remain fairly low well into 2014 before they start their slow rise toward “normalcy”, but starting January first, you may not be able to qualify for quite as much or as easily! !